Jordan + Pascale, P.L. is pleased to announce the expansion of their practice to Palm Beach County. The firm is opening an additional office located at 10 SE 1st Ave Suite A Delray Beach, Florida. We look forward to serving your legal needs and providing the highest level of service to clients in Palm Beach County and all over South Florida. 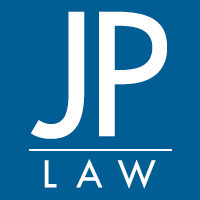 Jordan + Pascale is a business and real estate law firm founded by attorneys Alejandro E. Jordan and Daniel T. Pascale to provide quick, tenacious and cost-effective solutions for their clients. With extensive local knowledge and know-how, our attorneys are well positioned to advocate for their clients, help resolve their disputes, achieve their objectives and gain them a competitive advantage. Our full service law firm offers first-class legal services to businesses and successful individuals throughout South Florida’s international community. Our clients include business owners, domestic and multinational corporations, property management companies, lenders, receivers, condominium and homeowner associations, commercial property owners, entrepreneurs, sellers, buyers, developers, landlords, contractors and clients across the globe doing business in South Florida.